27Al 100% 27Al is stable with 14 neutrons. 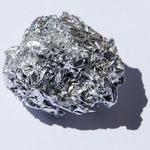 Aluminum is a chemical element also known by the name Aluminium. It is the most abundant element in the Earths crust. Aluminum and its alloys are strong but light metals. It also has a self protecting oxide coating which secures it from corrosion, and is a good heat and electrical conductor. It is used as cans, foils and kitchen utensils, parts of planes, rockets, and in high voltage electrical transmission and power lines. Corrosion resistance is excellent because of a thin surface layer of aluminum oxide which forms when the metal is exposed to air. Aluminum retains full silvery reflectance in a finely powdered form; because of this they use it in silver paints. In addition to being a good thermal and electrical conductor, it is also able to be a superconductor with a superconducting critical temperature of 1.2 Kelvin. 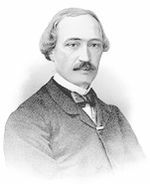 Crude aluminum was isolated In 1825 Hans Christian Ørsted isolated crude aluminum; he did this by reducing aluminum chloride with potassium amalgam. In 1809, Sir Humphry Davy prepared an iron-aluminum alloy by electrolyzing fused aluminum oxide. Friedrich Wöhler a German chemist used potassium metal as a reducing agent produced aluminum powder in 1827, and small globules of the metal in 1845, by doing this he was able to determine some of aluminum's properties. Video Explanation of how aluminum is made. ↑ . Aluminum - Al Water treatment solutions Lenntech. Web. Accessed October 25, 2014. Unknown Author. ↑ Aluminum Properties Elemental Matter . Web. Accessed October 25, 2014. Unknown Author. ↑ Aluminum, Al Virtual Chembook. Web. Accessed October 25, 2014. ↑ Aluminium WebElements. Web. October 25, 2014. Unknown Author. ↑ History of Aluminum The Aluminum Association. Web. Accessed October 25, 2014. Author Unknown. ↑ Aluminum History University of Coimbra. Web. Accessed October 25, 2014. Author Unknown. ↑ Uses of AluminumUses of. Web. Accessed October 25, 2014. Unknown Author. ↑ Electrical equipment Rio Tinto Alcan. Web. Accessed October 25, 2014. Author Unknown. ↑ Troszkiewicz, Agnieszka.Top 10 Aluminum Companies in 2011 by Production Bloom Berg. Web. Accessed October 25, 2014. This page was last modified on 29 October 2015, at 19:18.